A pretty little Menuett by Mozart's dad. Thanks Ariane! I'm sure it sounded great on recorder. Very beautiful playing and sound, Brian - I used to play this Menuett with my recorder - it is such a lovely composition. Thanks Dusty! Glad you enjoyed it. :) And about this instrument, it is a joy to play. The night I got it, I was playing in a spare bedroom and my wife walked in from 3 rooms away and could not believe that I was unamped and all that sound was coming out of this instrument. This cellphone recording does not do the instrument justice. It's really lovely. Beautiful playing, Brian. And what a warm sound that Tony Vines dulcimer has. 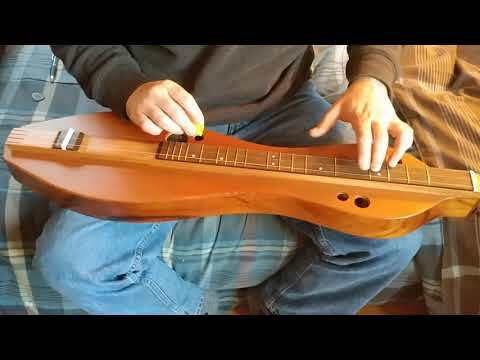 You certainly do justice to that dulcimer, Brian!